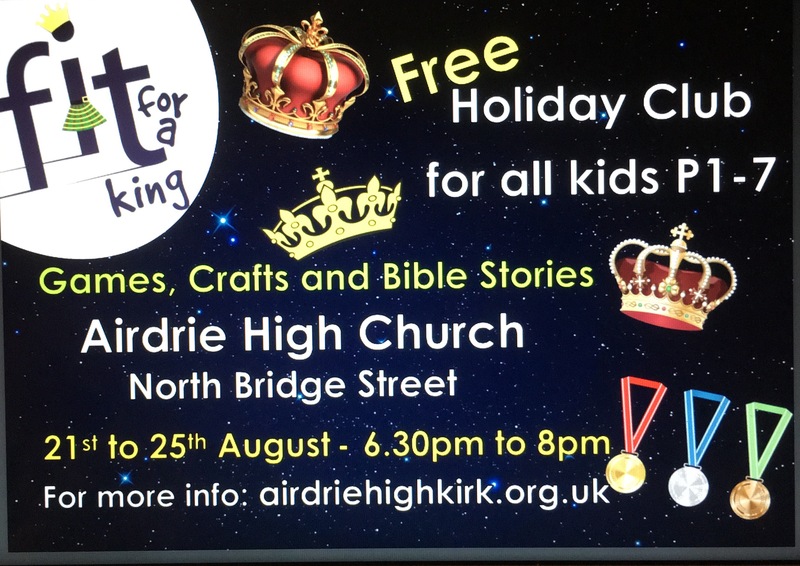 Airdrie High Church's 2016 Ancora Holiday Club was very successful last year so we are going to be running another Holiday Club this year. The Holiday club will be on week nights from 6.30pm until 8.00pm week commencing 21st August 2017. We hope to see everyone there and ever new faces joining us.